Engraved Scripture bar for desk to shelf display; 7" x 1.25" x 1" approximate size; cast stone. 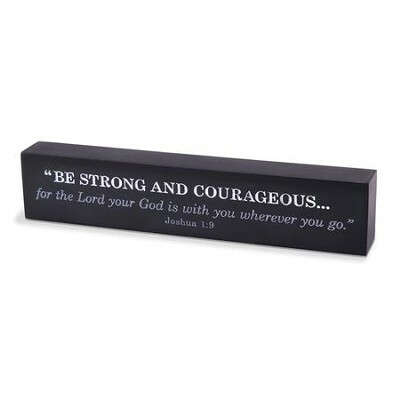 Keep your favorite Bible verse in plain sight; inspiring gift idea. I'm the author/artist and I want to review Be Strong and Courageous Scripture Bar.